How much security deposit should I ask for and do I have to pay any security deposit interest? Learn the answers to these important questions here. Deciding on the amount of security deposit is a fine balancing act - On one hand, you don't want to scare away potential tenants with unreasonable demands. On the other hand, you will want to collect enough so you can sleep well at night. First of all, you need to find out how much security deposit amount you're allowed to charge - Most jurisdictions set the maximum deposit amount at 1 to 2 months of rent. If you're renting properties in the United States, Click here to see the maximum security deposit amount for every U.S. state. 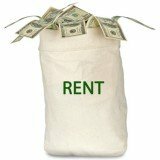 In most cases, the standard security deposit amount is equal to 1 month's rent. 1 month's rent works well for most landlords - Most renters find this amount to be acceptable (meaning more potential tenants) and it won't run afoul of any security deposit laws. 1. The tenant is keeping pets on the rental property. 2. The property is well furnished. 3. There is a large number of occupants listed in the lease (more people staying on the property). 4. You give the tenant permission to sublet or assign the lease to someone else. Do You Have to Pay Interest on Security Deposit? 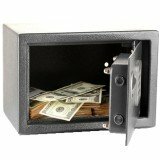 Many landlords neglect the issue of security deposit interest... only to find themselves in trouble later on. Let's clear up this issue once and for all today. 1. You're not required to pay your tenant any interest on security deposit. 2. As long you return the security deposit (minus any allowed deductions) at the end of the lease, it doesn't matter how or where you hold the security deposit money. Other U.S. states have specific laws on where to hold the security deposit money, how to calculate security deposit interest and under what conditions must the landlord pay interest. For the full details, Click here to learn the security deposit interest laws for your state.